JK Tyre, founded over 100 years ago, is one of the largest tyre exporters from India with a worldwide customer base in over 80 countries across all 6 continents. International sales operate through a strong and dedicated distribution network fully supported by the company's technical team in terms of continued product development to meet specific market needs. 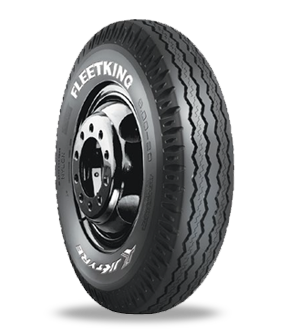 JK Tyre enjoys a premium brand status in various advanced markets, including the USA and Australia. Besides India, JK Tyre has enhanced its global foot print with the acquisition of a Mexican tyre major – Tornel in 2008 to further strengthen JK Tyres resolve for increased presence in the NAFTA trade bloc and emerging economies of Central and South America where it has been exporting tyres from India in large volumes for over twenty years. JK Tyre products are marketed under the 'JK Tyre' and 'Vikrant' brands and compete with the best international players. Our Bias range of products commands a premium price and image across major bias global markets and conform to international quality certifications such as TS 16949, 'DOT'(USA), 'E' mark (Europe), 'INMETRO (Brazil), 'GCC' (Middle East Gulf), ‘SONCAP’ (Nigeria), 'ITS' (Kenya), SNI (Indonesia) etc. 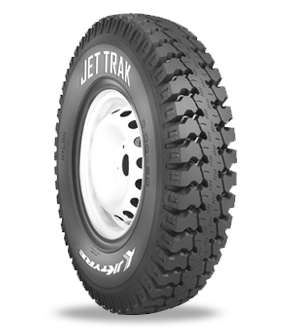 Deep tread rubber with unique compound. Aggressive 5 rib saw toothed pattern with sipes. Uniform wear and wider grip on road. Good traction and efficient water channelling. Compound of rubber with low heat accumulation. Long life and greater performance. Good traction and efficient water channeling.